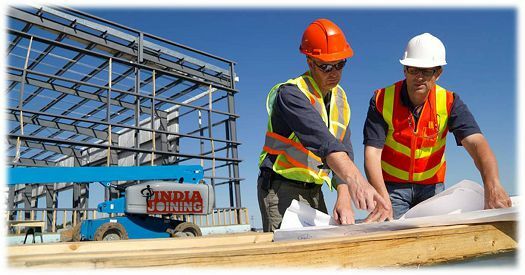 Engineering Jobs - Live Jobs For Freshers/Experienced Engineers IndiaJoining.Com – Govt Jobs, Sarkari Results and Much More! Find the jobs below that suits your profile most. All vacancy openings listed below are live with relevant recruiter/firm. Biotechnology Industry Research Assistance Council (BIRAC), New Delhi recruits to fill-up the posts of Manager (Technology Transfer, Commercialization & Communication) – Level 2. Interested candidates with provided engineering qualification may apply through here. Education Standard: M.Sc/M.Tech in life sciences/bio technology/ pharma/Agri/plant sciences. Ph.D in any of the stated will be preferred. Experience: 03 years of work experience in Pharma / Biotech / Life Sciences Industry and Research Institutes in facilitating technology transfer and commercialization of technologies / products for Level-II position. Other Requirements: MBA in Business Development/Technology Transfer and Marketing shall be preferred. Should have good communication skills. Responsibilities: To be responsible for facilitating transfer / commercialization of Technologies / Products Developed through the BIRAC projects. Arrange Innovation Market Place and other Investor forums for Technology / Product commercialization. Identify existing and new agencies and funding opportunities in the biotech sector for investment the Startups. Asiapower Overseas Employment Services recruits to fill-up the posts of Civil Design (Structure) Engineer. Requirement is open for a leading company involved in Township Projects in Qatar. Interested candidates with Civil engineering qualification may apply through here. The company is Manpower Consultancy in Mumbai/Chennai that provides quality manpower. Education Standard: Graduate degree in Civil / Structural engineering stream. Experience: 05 to 10 years experience. Having relevant experience on civil and bridge engineering. Gulf experience will be preferred. Other Requirements: Adequate training and hands on professional experience. Able to control design documents, supervise and execute structural issues. Skillful in structural analysis softwares. Familiar with international standard related BS with sufficient knowledge. Skillful in Auto Cad. Responsibilities: Reviewing and producing shop drawing about Structural Engineering. Support site engineering construction team. Provide design information, drawings, installation sketches and technical data to subcontractors and engineers. Coordinate with architectural, mechanical and electrical discipline for structural design and construction issue. PeopleStrong HR Services Pvt Ltd recruits to fill-up the posts of Design Engineer Operations in Gurgaon area. Interested candidates may apply through here. The company is a comprehensive HR SaaS solution for recruitment process outsourcing, talent acquisition, applicant tracking system etc. Education Standard: Graduate degree in Chemical Engineering stream. Experience: 08 years of experience with some 5 years of experience in a technical service, engineering, process operations, or design engineering role within the refining, petrochemical, or gas industry. Other Requirements: Working knowledge of customer As-exists P&IDs,PFDs,Equipment Datasheets, Vendor Drawings, GA Drawings, drawings of internals. Responsibilities: Execute process work for existing refinery. Execute configuration work to prepare Bulk Load for Sentinel data flow. Validate the results with DCS/OPAWARE meeting the desired yields and product specifications. Understand various process technology. Analyze customer datasheets for completeness. Execute various solutions of Process Reliability Advisor, Process Optimization Advisor etc. PeopleStrong HR Services Pvt Ltd recruits to fill-up the posts of Design Engineer – Development in Gurgaon area. Interested candidates may apply through here. The company is a comprehensive HR SaaS solution for recruitment process outsourcing, talent acquisition, applicant tracking system etc. Education Standard: Chemical engineering degree will be desired profile. Experience: 08 to 12 years experience. Having at least 5 years of experience in refining, petrochemical, or gas processing industry. Other Requirements: Assist sales support team with economic studies for proposals. Having ability to understand unit constraints and identify workable operating parameters for solutions. Responsibilities: Execute solution workshops with key technology community members in order to generate concepts for solution development. Execute capability projects that improve project execution performance. Participate in solution development programs. Develop flowsheeting troubleshooting skills. Work with team to remove existing gaps in current tools’ abilities. Execute improvement programs on existing solutions. Moldtek Technologies Limited recruits to fill-up the posts of Modeler/Checker in Hyderabad and Vijayawada area. Interested candidates may apply through here. The company is a leader in rigid plastic packaging in India with seven world class ISO certified processing plants. Education Standard: Graduate degree in relevant engineering specialization. Experience: 03 to 08 years experience. Experience in checking client Inputs, model checking, drawing checking is preferred. Other Requirements: Proficient in Tekla tool in terms of modeling. Good in applying shears & moments connection. Familiar with AISC and NISD standards for structural steel detailing of experience as Modeler. Familiarity with the AISC ,US, American Standards is essential. Responsibilities: Maintain co-ordination of work flow in the team. Work allotment, monitoring and guiding the detailer in completing the work in scheduled time. Raising queries for the missing information. Feedback Infra Pvt Ltd recruits to fill-up the posts of Traffic Engineer (Road Safety) in Gurgaon area. Interested candidates may apply through here. The company is India’s leading infrastructure service provided, with 8000+ employees, present in 34 countries across Africa, Indian sub-continent, Middle-East, and South-East Asia. Education Standard: B.Tech degree or Masters in Civil Engineering specialization. Experience: 10 to 14 years experience. Skills & Requirements: Build long term relations with the client. Understand the requirements of the project and plan execution of the assignment. Interact with industry subject matter experts for technical inputs on assignments. Responsibilities: Assume complete responsibility of the deliverables and ensure timely and quality execution. Finalize the team for the assignment with the head advisory. Guide the team and provide direction and support in work execution. Ensure timely achievement of milestones followed by timely invoicing and collection. Discuss work details and work plan with the team and ensure complete clarity to the team in terms of client expectations, deliverables and time lines. Pune based Orchid Management Consultancy recruits to fill-up the posts of Manager/Engineer (Research & Development) in Navi Mumbai area. Interested candidates may apply through here. Orchid Management Consultancy is a placement consultancy firm in business line since 2013. Education Standard: Graduate Engineer/M.Tech in Chemicals/Petro-Chemical/Plastic/Rubber Engineering. Experience: 06 to 10 years experience. Candidate who has worked in Paints/Pigments industry is required. Other Requirements: Candidate should be technically sound and have excellent communication skills. Salary: Rs.9,00,000 – 13,00,000 P.A. Responsibilities: Take input from the Head R & D /Marketing team with respect to the Design output. Responsible for development activity in R & D Lab. Liaisons with the factory & QC Manager during the development process for review and verification during the various stages of development. Maintenance of all records & sample pertaining to R & D documented system. The person shall be responsible for ensuring development of high quality products in quickest possible time to ensure satisfaction of customers requirements. Feedback Infra Private Limited recruits to fill-up the posts of Highway Design Engineer in Hyderabad area. Interested candidates may apply through here. The company is India’s leading infrastructure service provided, with 8000+ employees, present in 34 countries across Africa, Indian sub-continent, Middle-East, and South-East Asia. Education Standard: Graduate/Postgraduate degree in Civil Engineering. Experience: 06 to 11 years experience. Other Requirements: Support in procurement and maintenance of relevant equipment. Supervise and collate field data, analysis and report. Provide guidance to the Auto CAD draftsmen. Responsibilities: Coordinate with Bridge Engineers and relevant personnel from other fields. Interact with the team to understand the schedule and date of completion of the activity and convey to the client. Interact and deal with the client and his team at site as well as office to handle their queries and solve all doubts. Visit site to understand the real conditions and design accordingly. Providing input in preparing budget. Supervise and conduct road inventories, condition surveys, and pavement investigations. Engineering Jobs In Govt Sector – Latest Openings, Apply Now!